Vistaprint Prague was the proud sponsor of DevFest which took place on October 26-27 in Prague. This was a community-organized festival of developers and is the the largest technology festival in Central Europe. 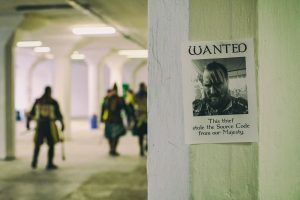 The attendees had a chance to join workshops on Friday, then return to Pragovka, the location of the event, on the Saturday for several talks and to stay for the after-party which went on into the early morning. Many topics were covered during the festival including: Web, Android, Firebase, Angular, Soft skills, Cloud, PWA, IoT and many more. 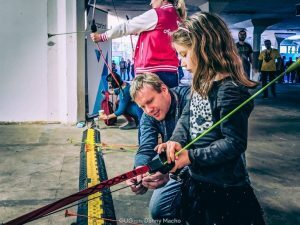 Vistaprint had one of the most popular quests with an archery range, families were also invited to take part in the quests, which went down very well! DevFest 2018 really took us to another time as promised!